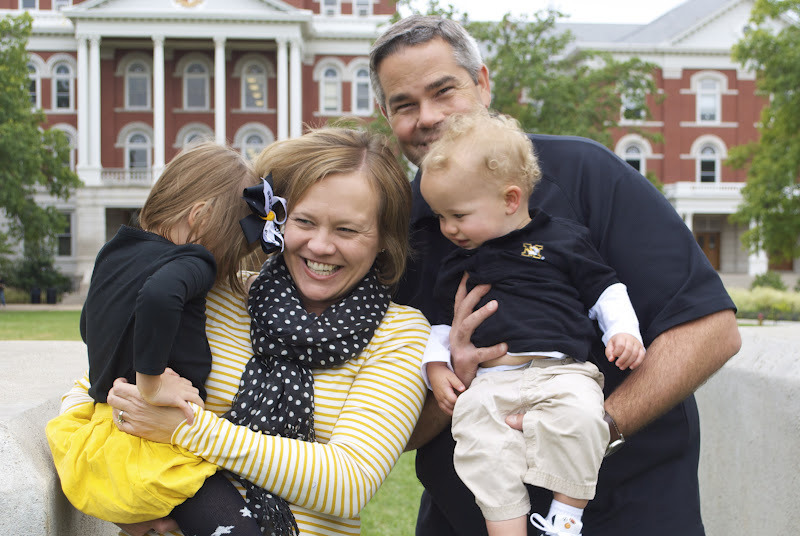 Here's hoping that Mizzou is more successful at beating Vanderbilt today than we were at taking a family photo at the columns last month. I mean, really. Have you ever seen anything more ridiculous in your life? But sadly, this is the way photos go with the kiddos these days. Annoying at the time, but funny to see captured on film. Much like us giving Charlie the royal wipe down after Beanfest 2012. But back to the Mizzou vs. Vanderbilt game. We are skipping today's game in lieu of a much-needed weekend at home. We looked at our calendars and realized we haven't all four been together at home for an entire weekend for close to two months. That's bananas, at least for us. So we passed along our tickets and we're going to be together, dammit. Like it or not. It's family fun time, kids. Bring on the tears.